Belmopan. November 22, 2017. The Ministry of Foreign Affairs has been notified by the Benque Viejo del Carmen Police Station that at about 10:45 a.m. on November 17th, 2017, four Guatemalan Military Kaibil personnel crossed into Belize along with three Guatemalan journalists. 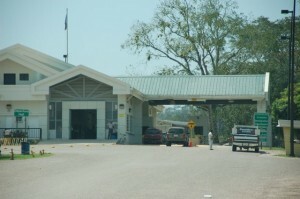 Belizean Police Officers, stationed in the vicinity of the border, approached the Kaibil who were at the “Welcome to Belize” sign, and informed them that they were in Belizean territory; the police requested that they leave immediately, which they did without incident. The Ministry of Foreign Affairs has raised the matter with the Guatemalan authorities to prevent reoccurrence.